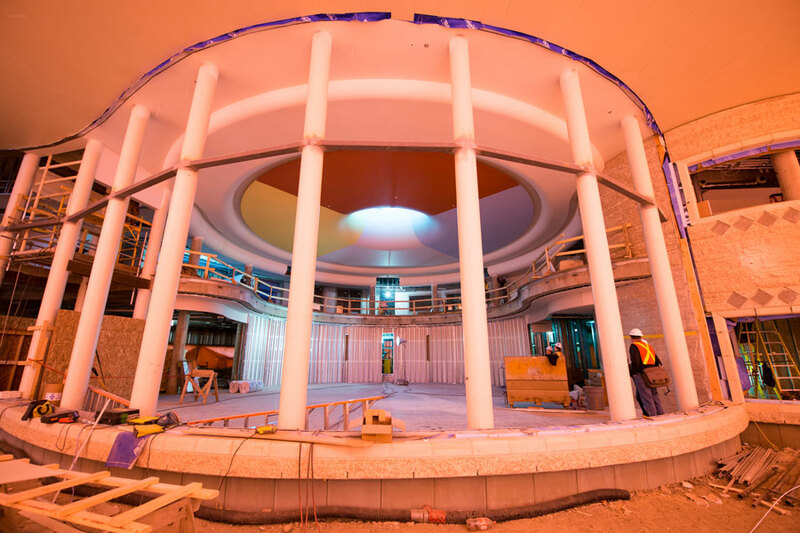 The Gordon Oakes-Red Bear Student Centre is expected to open this fall and will play a central role in Aboriginal student support on campus according Graeme Joseph, team lead of First Nations, Métis and Inuit student success at the University of Saskatchewan. "The Gordon Oakes-Red Bear Student Centre is part of a large community of supports on campus for Aboriginal students," said Joseph. "The centre will work in close collaboration with partners across campus to increase Aboriginal student enrolment, retention and graduation." By focusing the centre on the teachings of relationship, collaboration, co-operation, humility, reciprocity and sharing, Joseph said the building will be a safe and welcoming place that is respectful of the diversity of all Aboriginal people. "The Gordon Oakes-Red Bear Student Centre facilitates the co-ordination of eff ective student services for First Nation, Inuit, and Métis students," he said. "It will bring together the teachings, traditions and culture of First Nation and Métis Peoples of Saskatchewan." The building was designed by renowned Aboriginal architect Douglas Cardinal and is named after a man who made significant contributions to the people of Saskatchewan throughout his life as a Treaty Elder and a spiritual and community leader, said Joseph. He added the university has been working with the family to ensure his teachings are honored in the building. Daryl Cherry, who works in the major projects office of Facilities Management Division and is the building's project manager, expects the building to be on budget at $17 million. Of that total, $4.7 million was provided through private donations. Windows are being installed, the stone finish is almost done, the inside is being dry-walled and painted, and electrical and mechanical equipment are being prepared. Cherry said the wood from the elm trees that had to be removed to accommodate construction has been cut into planks and the "absolutely gorgeous grained wood" will be displayed inside the building. Jack Saddleback, incoming president of the U of S Students' Union who is from the Samson Cree Nation in Maskwacis, Alberta, said he is looking forward to the opening of the centre and the opportunity it creates to enhance the student experience through community building. "The new Gordon Oakes-Red Bear Student Centre is important for Aboriginal students because it showcases that Aboriginal students are a part of this campus," said Saddleback, who noted the centre is vital for the whole campus community. "By having a centre, we are highlighting our campus community's diverse population and celebrating the rich history of the Saskatchewan region." A grand opening celebration will be organized in the fall.